Also known as Kuniko Ishigami, Satomi Ishihara is one of the most popular actresses in Japan. Her face was literally seen on streets, billboards and department stores. She gained recognition for her acting talent. You’ve probably seen her since she starred as the heroine in the drama 5-ji kara 9-ji made and the film Attack on Titan. She also appeared in various commercial events. When it comes to the art of face washing, we ladies take it pretty seriously. Regular skin cleansing is critical to maintaining healthy looking and feeling skin. It is also an important factor in helping the skin maintain a proper level of hydration. Cleansing helps manage PH levels of the skin. That is why Satomi makes sure to clean off her makeup right after coming home from work. It is not a good idea to fall asleep while wearing makeup, as, we all know. She uses a Q-tip for eye makeup to thoroughly wipe it all off. You just have to dip the end of the cotton swab in moisturizer and use it to remove your eye makeup. Satomi uses cleansing gels instead of liquids in removing makeup. Her favorite cleansing gel is E Special Cleansing Gel. It is easy to try even for first-timers. It is a cleansing gel which also moisturizes with hyaluronic acid and beauty essences, blended luxuriously. Gels are definitely the way to go to get your makeup and take care of your skin! If you are having a hard time grabbing your hands on E Special Cleansing Gel, check out an AAA or Amazing Amazon Alternative, the Dermalogica Special Cleansing Gel. Toner is a great step to add to your skincare routine to maintain clear and healthy skin. 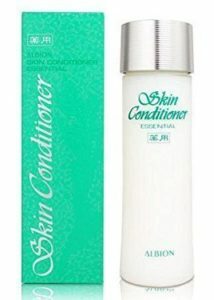 It restores your skin pH skin balance after cleansing. Serum is also a skincare product you can apply to your skin after cleansing. It is a great tool for targeting specific skincare concerns. Satomi chooses moist skin toners and serum and she is careful to make use of these products each time. Her tip, be sure to let it sink in to moisturize your skin. On cleansing, she uses two types of highly moisturized cream. She does cleansing during the night because night time is an important time to recover and refresh! Aside from that, water also flushes out toxins, improves our skin complexion, and boost our immune system. Great tip there, Satomi. Way to go! But the lotion mentioned here is not the usual lotion that you call in the US which is a thick moisturizer for your body. In Japan, lotion is a water or watery gel-like substance that brings back the normal PH level of the skin after washing one’s face. The face becomes alkaline or basic (not acidic) after washing it with an alkaline cleanser or soap. It is advisable to use lotion to maintain the natural ph level of the skin which is slightly acidic. Some say it is somehow similar to a toner. Japanese facial lotion usually contains ingredients such as collagen, ceramides and hyaluronic acid. The lotion is then applied with clean hands on a clean face. Ipsa, SK-II, and Albion are the top Japanese (facial) lotions. Ipsa Time Reset Aqua Essence creates an artificial moisture layer, this increases moisture to keep the skin dewy and stickiness-free. SK-II Facial Treatment Clear Lotion is light and watery, this toning lotion is infused with Pitera™ and AHA to exfoliate dead skin cells and impurities. Its clarifying formula prepares the face for the rest of your skincare regimen. Penetrates into the skin surface effectively for best results. How to use: For perfectly conditioned and ultra-fresh skin, use the Facial Treatment Clear Lotion morning and evening after cleansing your face and neck. They are the most beautiful elements of your facial features, so it is necessary to take care of your lips. Make them healthy because they usually generated with your beauty. Would you like to have Satomi’s charming lips? She uses a scrub to massage care her lips before going to sleep. 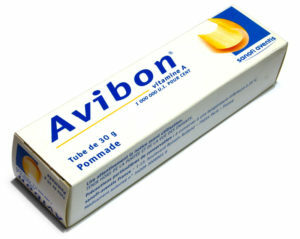 She’s been using the brand Avibon’s lip cream, which has a rich load of Vitamin A. It is a pomade and basically a topical ointment and works as an intense moisturizer. We can now purchase Avibon online. Never fret if you can’t find Avibon Vitamin A Pomade in your local beauty boutique. You can still grab Satomi’s kissable lips by grabbing another AAA (Amazing Amazon Alternative)! And by the way, this product is an Amazon Choice product (Amazon’s highly rated yet well-priced products). A313 Vitamin A Pomade contains 200,000 i.u. of Vitamin A. It treats fine lines, stretch marks, wrinkles, sensitive skin, enlarged pores, and firms the skin. Use a small amount and warm in hands before applying. Every woman is already beautiful, and every woman can even be more beautiful. Makeup enhances your own natural beauty. 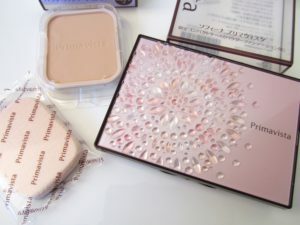 Satomi uses Keshonori Jikkan Powder (translation: Sensationally Fit Powder Foundation), a product of SOFINA Primavista, which translates your skin into beauty the instant you apply, even in the mornings after sleepless nights! It is a base makeup that makes a difference – taking 5 years off your skin. With this, Satomi always expresses the joy with radiating smiles. She also uses Coffret D’or, a brand by Kanebo Cosmetics, for everyday makeup use. This makeup allows her to show her bright creative side. 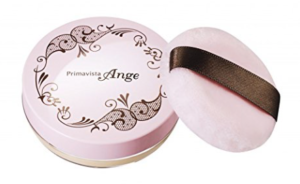 You can also check out this Amazing Amazon Alternative, SOFINA Primavista Ange Long Keep Face Powder (and yes, ange means angel in French!). Beauty builds confidence. Just like Satomi Ishihara, having been through the challenging situations, she stay stunning and never ceased to renowned endearing smiles, beautiful as ever. When we make ourselves look good and show our confidence, we receive more respect. It affects the behavior of those around us in a positive way. And that makes us feel better and increase our confidence and self-esteem. When you look good, you feel good. When you feel good, you look even better. And then you can do anything! After all, beauty is a state of mind. Crème de la Mer: What Are Its Effects On The Skin?